Is this the six-core CPU the world has been waiting for? Is this six-core processor AMD the king of reasonably priced parallel processing? AMD's latest Thuban slots neatly into the Phenom II X6 range. A super chip for threading on the cheap. AMD's six-core Thuban processor has been a TechRadar favourite since launch back in April. But with just two Phenom II X6 models on offer, it wasn't exactly the widest range of chips. Enter, therefore, the new AMD Phenom II X6 1075T. 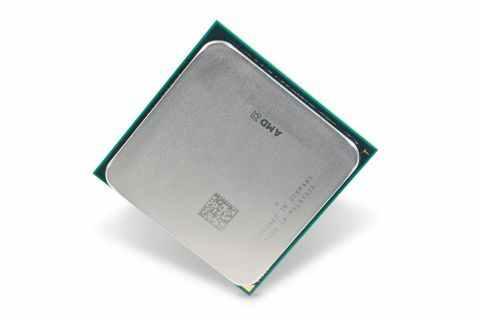 At 3.0GHz, it slots in neatly between the 2.8GHz Phenom II X6 1055T and the flagship 3.2GHz Phenom II X6 1090T Black Edition. Price wise, it's very much a tweener, too. However, because it's not a Black Edition chip, it lacks an unlocked multiplier, making it less friendly for overclocking than the 1090T Black Edition. Therein lies the challenge for the new Phenom II X6 1075T. The faster, unlocked Black Edition chip is yours for just £17 extra at the time of writing. As for the Intel alternative, the choice is between the cheaper Core i5-760 with its unassailable gaming grunt and the pricier but all-round quicker Core i7-860.